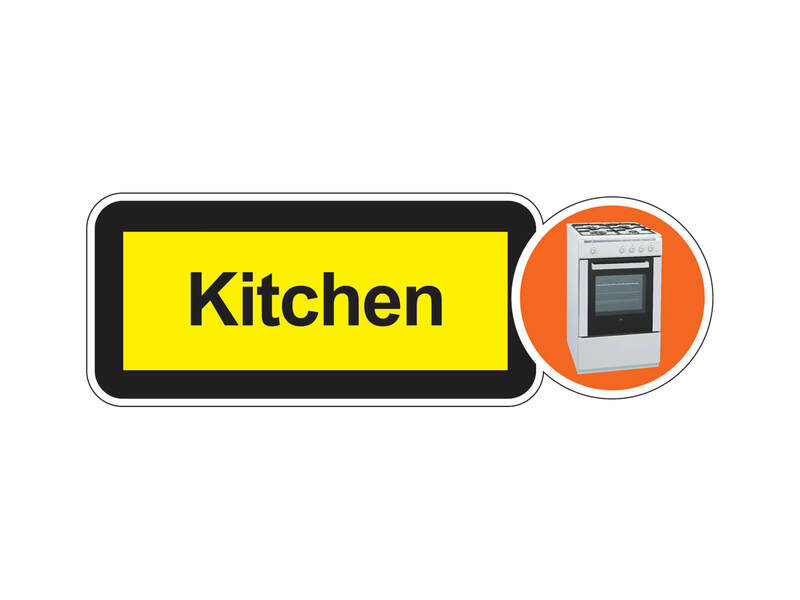 Kitchen Dementia Signage sized at 480mm x 165mm. Designed to be easy to read and to help reduce possible stress and disorientation amongst dementia and alzheimers sufferers. Available as a rigid board (5mm foamex) or as self-adhesive vinyl, suitable for application onto any smooth, non-porous surface. Our self-adhesive vinyl features a special easy-apply adhesive which enables crease and bubble-free application. Finished with a non-glare, protective, matt laminate. Easy to clean, very long-lasting and inherently biocidal.